UnitedHealth Group Walkin Recruitment on 5th Jan 2017 – Noida. UHG Walkin for B.Com, B.A, BBA, BMS Freshers as Associate, Senior Associate -(NonTechnical). We update each and every useful stuff such as Qualification, Job Role, Work Location, Salary details, Venue details. It is not an easy task to clear the UHG Walkin Drive. So be prepare well. If you want to place in UHG, practice placement papers with full effort. Interested Candidates Scroll down to see further details about UHG Recruitment Drive. We hope the information provided on UHG Recruitment is helpful for your job search. If this job doesn’t suit you then you can look for more Freshers Jobs in our Website. Keep visiting All India Jobs for regular Job Updates, off campus drives, walkin interviews, referral and many more. * Responsible for the accurate processing and completion of medical claims. * Process claims that route out of automatic adjudication, within current turnaround standards. * Proficiency in product lines applicable to processing unit. 3) B.Tech, BCA, MCA fresher and regular MBA are not eligible. 5) BPO / NON BPO / U.S HEALTHCARE Experienced candidates are also welcome. UnitedHealth Group is an innovative leader in the health and well-being industry, serving more than 55 million Americans. Through our family of companies, we contribute outstanding clinical insight with consumer-friendly services and advanced technology to help people achieve optimal health. UHG Walkin Recruitment 2016-2017 For 200 Job Openings in Gurgaon Location. UnitedHealth Group Walkin Interview for Fresher and Experienced Candidates On 4th October 2016. UnitedHealth Group is an innovative leader in the health and well-being industry, serving more than 55 million Americans. Through our family of companies, we contribute outstanding clinical insight with consumer-friendly services and advanced technology to help people achieve optimal health. UHG Job Openings 2016 – 2017 for Fresher – IT System Analyst. 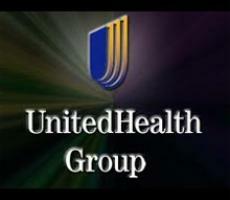 United Health Group Recruitment drive in Gurgaon for freshers as Associate IT System Analyst Position. Any graduate freshers are eligible to apply for this position. Interested and eligible candidates can apply online through the below provided link. Perform analysis of business goals, objectives, and needs of the general business environment. Plan and design business processes and make recommendations and changes in order to improve and support activities. Utilize data to resolve business issues in the most effective and productive manner. Designing the reports from scratch by identifying the problem areas and delivering it as fully automated solution. Creating Dashboards out as per business logic/requirement. Continuously assess and improve data collection and reporting processes. Should have Strong knowledge in Advance Excel.